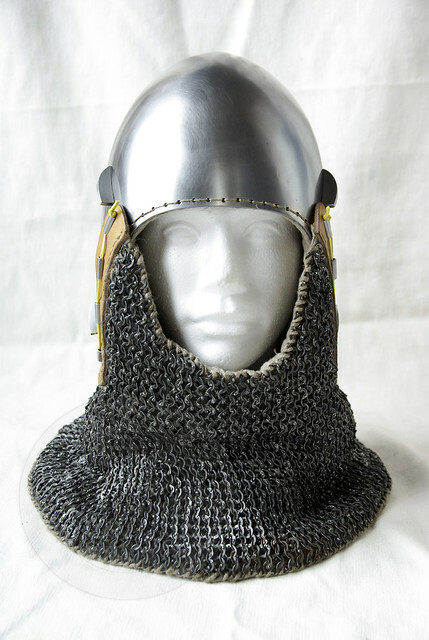 I have reproduction of bascinet dated for about 1340-1380 for sale - I have made it for custom order, however it's turn out little too big. It's new and never used - only for fittings. 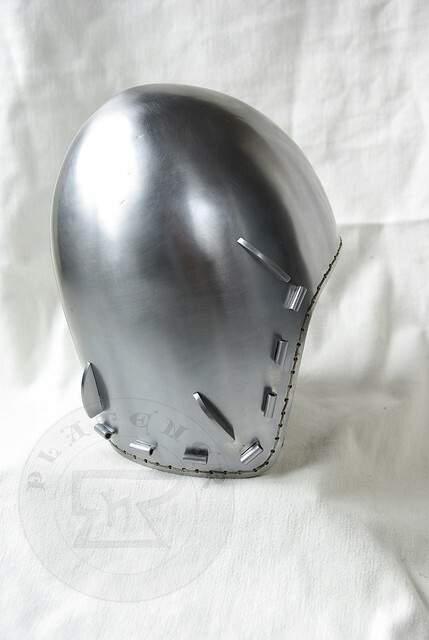 Bascinet is made from two halves raised on hot from 2 mm high quality mild steel and welded together. 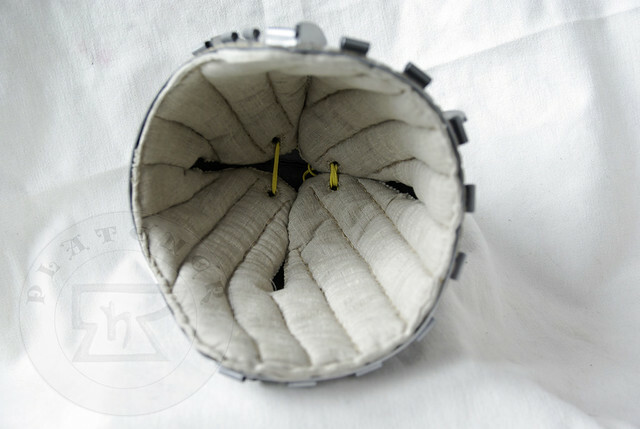 It was heat hardened and tempered up to 40 HRC. 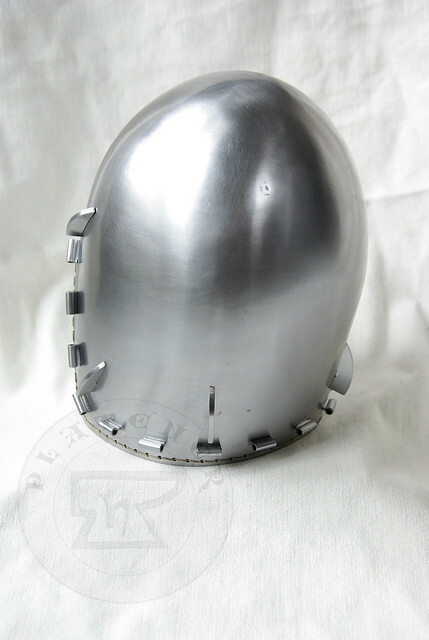 Close fitted riveted mail avential (wedge riveted) also with padding. Fit perfectly for 58-59 cm head circumference. Please don't hesitate to contact me here or on platener@platener.eu or piotr.platener@gmail.com if you are interested in it or if you need any more information. 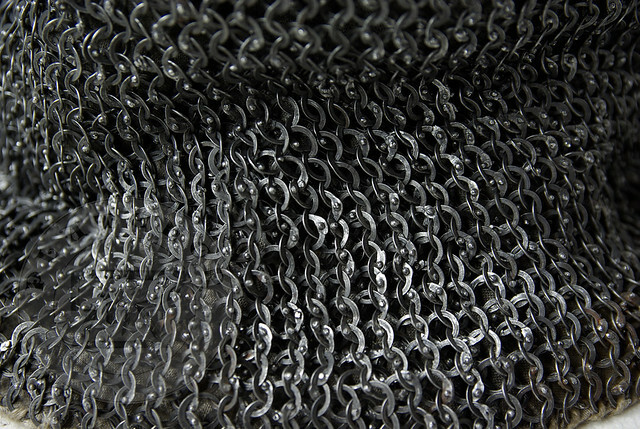 Avential rings are 8 mm inside diameter and around 11 mm outside diameter. 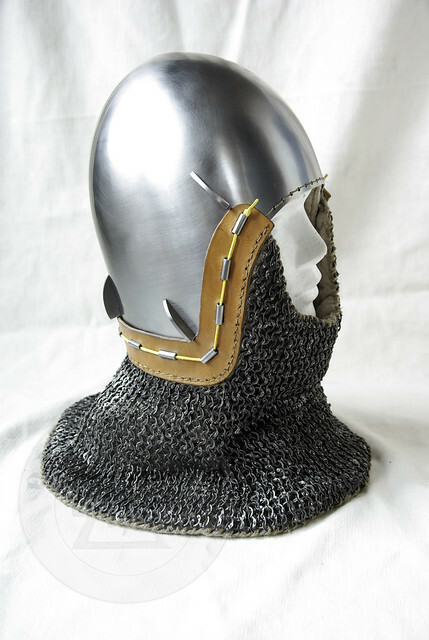 Such bascinet will be for example good option for person recreating light men-at-arms not engage in full contact combat, however if someone will be interest I can make a visor for this bascinet, some klappvisier style one will suit here well. 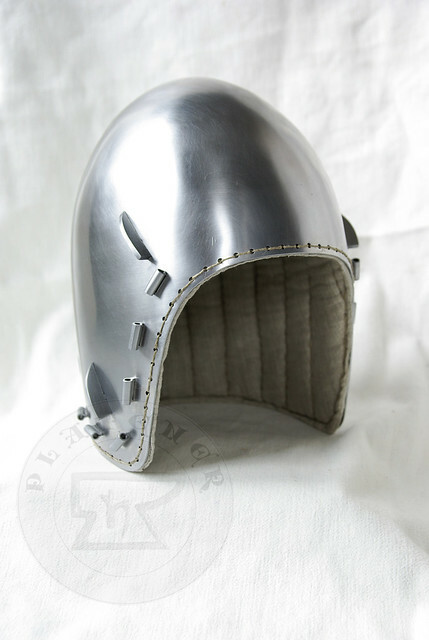 Bascinet sold, thank you for viewing.